In a day and age that is governed by technology, media, and social media, it is more important than ever to make sure your business grows and continues to reach customers. One easy way to achieve this is by starting a podcast for your website. You can talk about anything and everything related to your product, the services, your niche industry, or general new and information. The benefit of a podcast is that is gives your viewers and customers a quick and easy way to get information. People can listen to a 30-60 second message faster than they can read a similar amount of typed words, so audio podcasts prove to be an effective way to engage and interact with your customers. Podcasts are also fun to listen to, easy to share, great for bookmarking, and leaves a stronger impression than a page of text does. For this reason, you should seriously consider adding podcasts to your website. It goes a long way in helping your business grow and helping you draw in new customers and continue to engage with the ones you currently have. 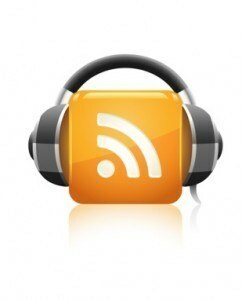 For these reasons all serious businesses stand to gain a great deal from audio podcasts.